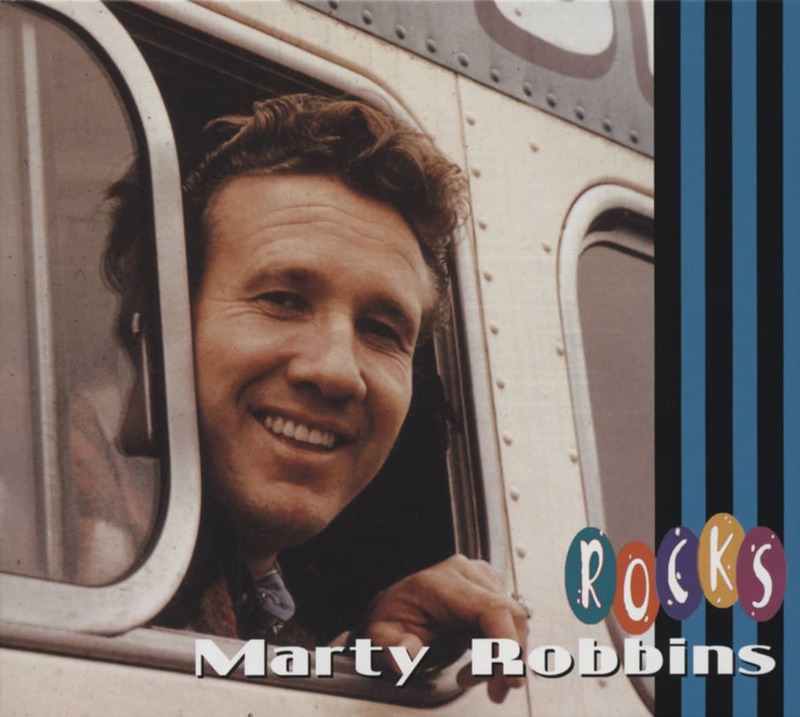 Marty Robbins was originally known as 'Mr. Teardrop' because of the many recordings he made of weepy ballads. But that was just the start of this one man legend. He later moved on to tackle rock, pop and various areas of country music, and was a great success when invited to star in shows in Las Vegas. A million words have been written about this man, the gun balladeer from Arizona. Words about his memorable cowboy/Mexican style ballads. 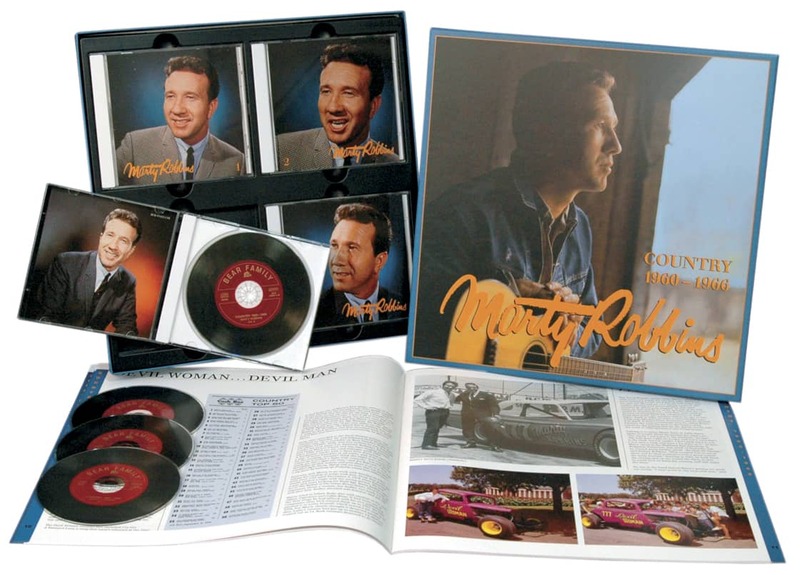 Stories about his skills and thrills as a stock-car driver and about his songwriting and melodic voice. He was honoured with a host of Grammy Awards and was the first Nashville artist to play a cabaret season in Las Vegas. As a member of the Nashville Songwriters Association Hall of Fame, he was one of the spearheads of the country music business. He made frequent guest appearances on the Grand Ole Opry becoming a regular member in 1953. He then began to make recordings mostly of his own works, having written more than a hundred-songs. Over the years he lent his performing abilities to both western movies, appearing in such films as 'The Gun And The Gavel', 'The Badge of Marshal Brennan' and 'Buffalo Gun', as well as having his own television show and guesting on most major American TV shows. Although sadly Marty is no longer with us, he has left so many good songs that his memory will be with us always and his music will forever entertain us. 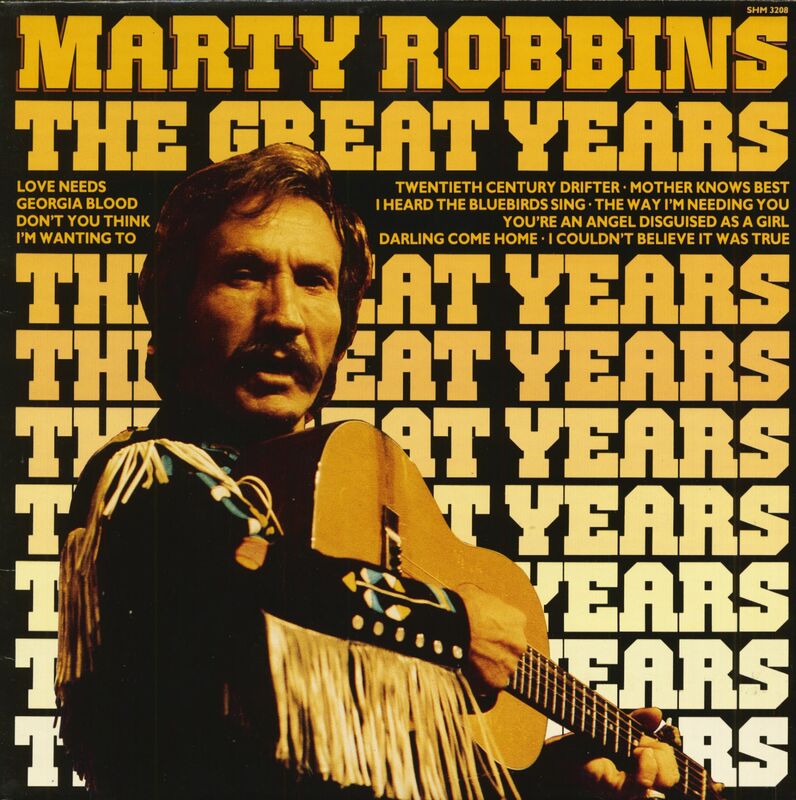 We have selected eleven of those Marty Robbins songs - The Great Years - May the legend live on! 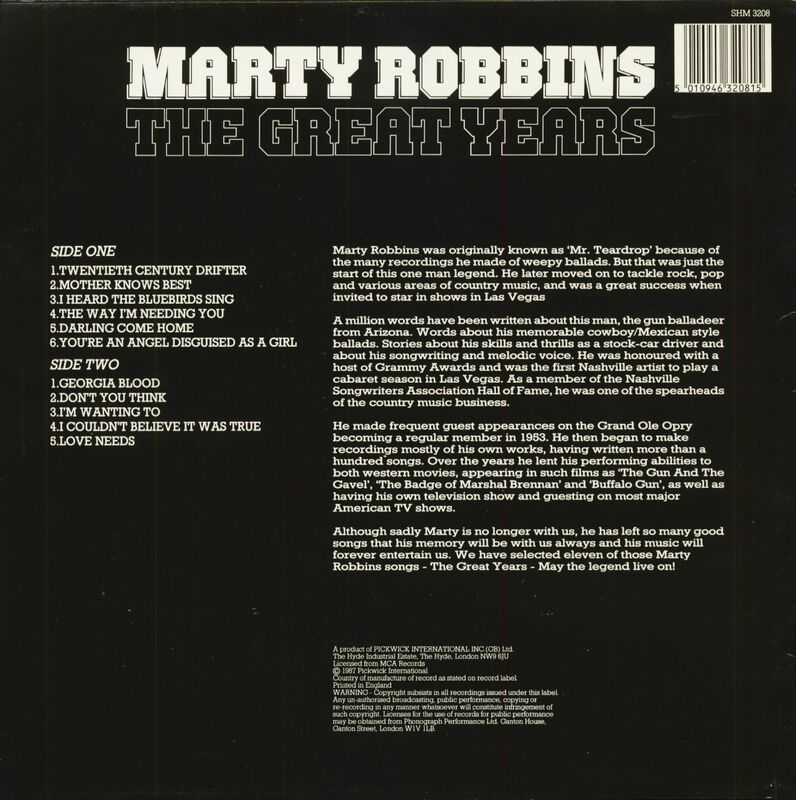 Customer evaluation for "The Great Years (LP)"